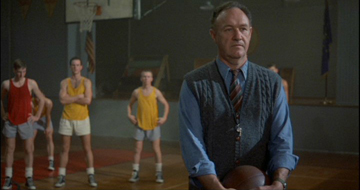 Hoosiers is a gem of a film. It is an ode to leadership and teamwork, sacrifice and redemption. Gene Hackman, Barbara Hershey and Dennis Hopper all give wonderful performance in this, one of the great sports movies. You may know how many times to pass the ball before the team can shoot, but how well do you know Hoosiers?